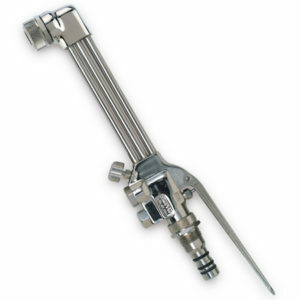 SC-229S Cutting Torch – Regulator and Torch Exchange, Inc.
21″ Cutting Torch with 90 degree head. Cuts up to 12-inch (305 mm) thick steel. Features sintered metal inlet filters, o-ring seating and easy-to-change slip-in Graf-Tite cutting tips with cost-saving soft seats. Super-tough, thick-wall bronze forged heads reduce warping and distortion in more severe service applications. 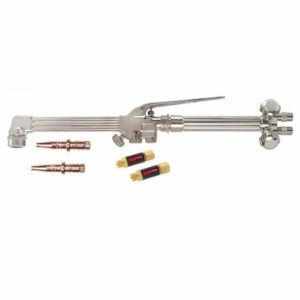 Use with any industrial fuel gases – acetylene, propane, natural gas, propylene, hydrogen, and many others. 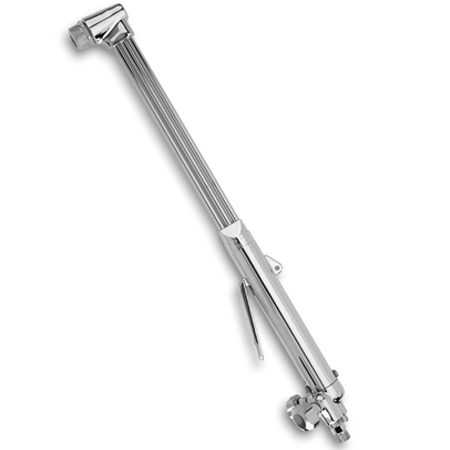 Several models of standard and special purpose tips are available for use in SC Series cutting torches. 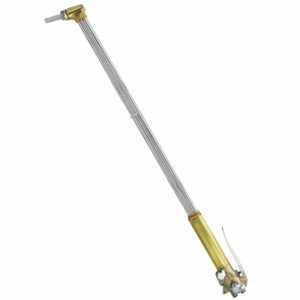 Cutting torches are covered by Smith’s warranty when used with authentic Miller | Smith tips. Works with all SC Series cutting tips.